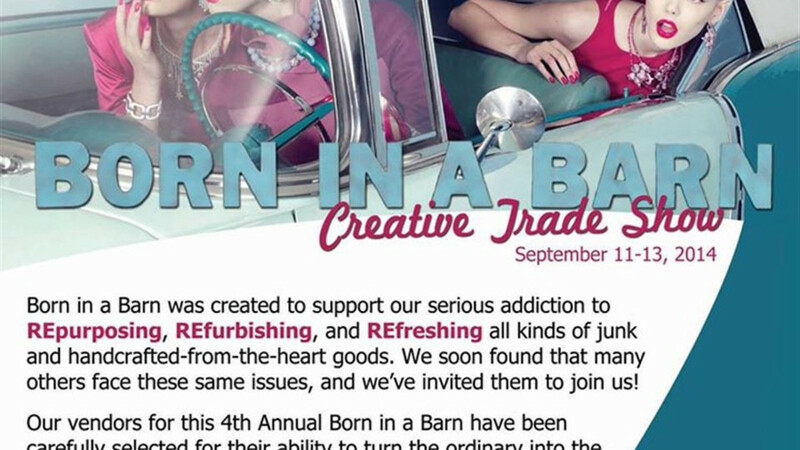 Born in a Barn was created to support our serious addiction to repurposing, refurbishing and refreshing all kinds of junk and handcrafted from the heart goods. Luckily, we have found some others with similar issues and they have been invited too!! Even when your house is full these behaviors don’t go away, so we are having a sale and inviting others from far and wide to come and take it away! All of the vendors at Born in a Barn have been carefully selected and they can turn the ordinary into the extraordinary!! Furniture, antiques, junk, jewelry, art, leather, flowers and so much more! Born in a Barn is a feel good sale, with something for everyone, including the hungry!! We’ve got the best little food field and beer garden you’ve ever seen! This three day event takes place the second week end in September with a Full Moon Preview on Thursday evening from 3 to 7, $10 entry fee, and on Friday, 10 to 6, and Saturday 10 to 2. All at my historic ranch just four miles east of Sheridan, on US Highway 14 East.